grassland grass is unique worldwide. There is no other material which is similar to it in form and structure. Through our processing techniques and the material quality, individual customer requirements can be optimally implemented for vertical room greening. Our basic material is grass! The grass seeds grow under studio conditions. 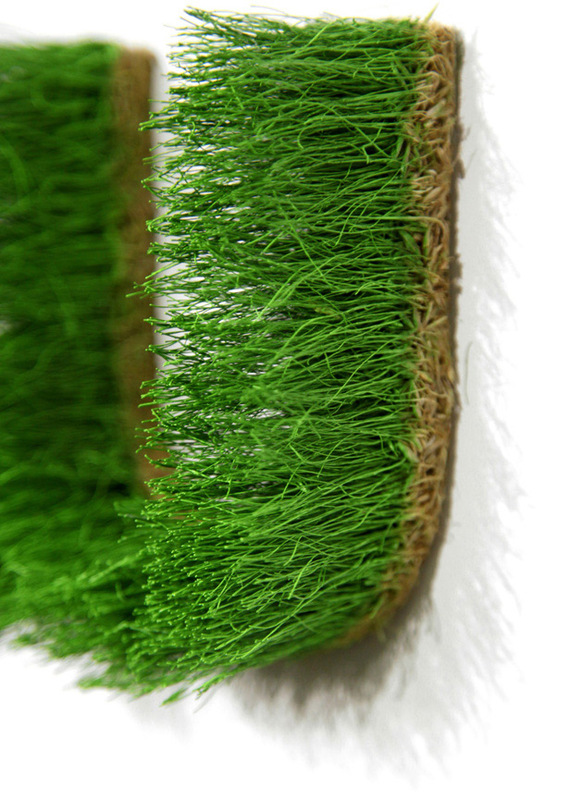 The 100% natural material grass is “harvested” after several weeks of growth. The letters, logos and images grow in specially designed forms. This is the only way to achieve the desired precision and quality. The complex production requires manual work, knowledge and many years of experience. The grass is dried, preserved and coloured green. The drying process preserves the grass, so no maintenance is required. Thanks to our unique process, the shape and colour of the grass changes only little over time. A B1 treatment is possible. Delivery for made-to-order letters and objects takes up to six weeks. 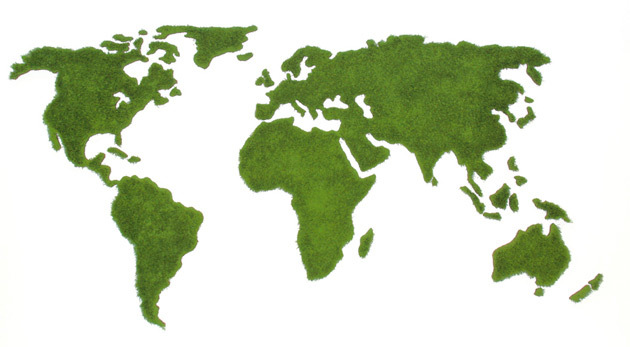 Our grass objects are shipped worldwide – including positioning template and mounting description. With a little craftsmanship, the grass objects can be easily installed. On request, we are pleased to offer the installation. The grass itself weighs approximately 1.5 kg per square metre. Smaller letters and objects can be mounted directly on the wall with acrylic hardware, while larger letters, forms and objects can be mounted with nails. grassland objects are intended for display in interior spaces. They should be placed out of reach, as the objects can be damaged if handled. Our form of dried grass is unique worldwide. There is no other material which is similar in shape and structure. Through our processing techniques and the material quality, individual customer requirements can be optimally implemented. The objects are much more precise and more concise than, for example, moss logos or moss letters. 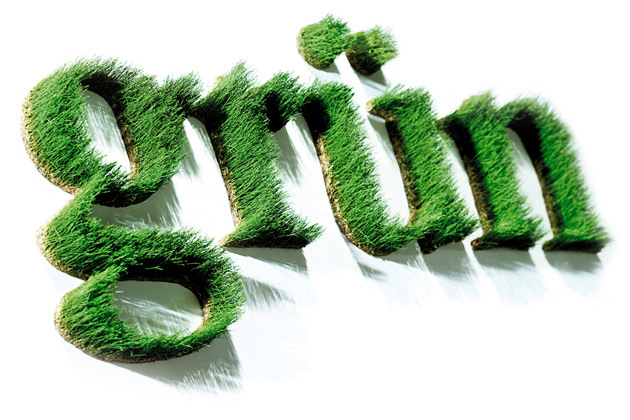 grassland was established by Bernd Oette in 2006 following many years of experimenting with growing and drying grass under controlled conditions. In the meantime, we have become the world market leader due to our expertise in this technique. We have developed many tricks and secrets. The very first grass objects were created back in 1991.